Every teacher at Kaplan is an experienced, college educated Early Childhood Educator with either a BA or an MA in the field. They not only undergo rigorous background checks, but are also trained on how to handle difficult situations appropriately; our goal is that all students are happy and thrive at Kaplan. 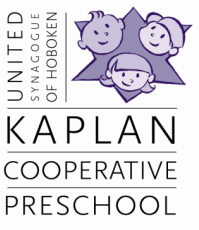 Rachelle Grossman is the founder and director of the Kaplan Cooperative Preschool. In 2000 a small group of USH members, Rabbi Scheinberg and teachers worked together with Rachelle to create this special early childhood center. Rachelle grew up in Jersey City. She has a BA in early childhood education from Rutgers University and an MPA in administration from City University of New York. Prior to working at the Kaplan Cooperative Preschool, Rachelle worked for 15 years at the Association for the Help of Retarded Children, taught kindergarten in the Orange Public Schools and preschool at Congregation B’nai Israel in Millburn. Rachelle lived in Hoboken from 1989-1994. She was married at the United Synagogue of Hoboken and now lives in West Orange with her husband, Bob Seelenfreund, a retired public defender. Her two daughters plan to follow in their parents footsteps. Emily attends Harvard Law school and has taught 3rd grade at Church Rock Academy on a Navajo Reservation in New Mexico as part of Teach for America. She was a member of the U25 US women’s wheelchair basketball team and the U.S. team that played in the Maccabiah Games in 2013. She played for the University of Alabama college team in Tuscaloosa. Michelle graduated from the College of New Jersey in May 2015 with a degree in early childhood education . She is a 3rd grade techer at the LIttlebrook elementary school in Princeton. Last year she volunteered in Israel in a program run by the Reform Movement for college graduates that focuses on pluralism, coexistence, social justice, Jewish learning and Hebrew/Arabic study. She has worked 8 summers at JCC Camp Deeny Riback. Rachelle loves to use the knowledge she has gained from her rich educational background to nurture and mentor the parents, students and faculty at Kaplan. Marcy was born and raised in Cherry Hill, New Jersey. She earned her B.S. in Human Development at Binghamton University and her Master’s degree in Early Childhood Education at Hunter College. 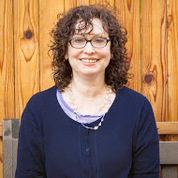 Marcy has taught children ages 2.5 - 5 since 2006 at other synagogue preschools in Manhattan and spent a year teaching Kindergarten at an international school in Tokyo, Japan. She has been working at Kaplan in different capacities since 2014 including as the head teacher of an older 3s class and 2.5s class. She is also the program coordinator for families with children 5 and younger. Marcy moved to Hoboken with her husband in October 2013 and they have since welcomed two sons - Grey and Joey. Heather came to the Kaplan Preschool in 2006. Previously she owned Echo of Art, an arts and activities center that provided art and music lessons, parties, and much more to the Hoboken community. Echo of Art was a popular Kaplan school field trip destination. Heather has worked both in magazines and museums. She spent twelve years as a photo editor at various magazines in addition to three years at the International Museum of Photography in Rochester, NY. She has a Bachelor’s degree in French from the University of Wisconsin and a Master’s in Art History from Indiana University. Heather is the proud mother of Jacob and Nellie, both college students. Felice has been a resident of Hoboken for nearly thirty years and has been teaching at Kaplan since the very beginning! After graduating from Buffalo State College she had a career in textile design in the garment district. When not at school she enjoys spending time with her three sons and husband and cooking. Nora was born and raised in Hoboken and is thrilled to be back at USH after many years - she used to babysit at the synagogue on Saturday mornings when she was in high school! After receiving an undergraduate degree in theater from Syracuse University and dabbling in various fields, Nora finally settled in a career in Early Childhood Education and received her graduate degree in Education from New Jersey City University; she started working at Kaplan in 2008. Nora lives in Hoboken with her husband and their son, Otis. Laura has been a lifelong resident of Hoboken and member of USH, having celebrated her baby-naming and Bat Mitzvah here many years ago. Laura worked at Kaplan volunteering throughout high school and college and is thrilled to be a part of this community. After spending time in nursing school, she realized her true passion was working with children. Laura received a Bachelor of Science degree in Education at Drexel University in 2009, and started working at Kaplan that same year. In her spare time, Laura enjoys spending time with friends and family. Gordon graduated from Elon University. He has been working at Kaplan since 2011, in different capacities. Currently he is works in the early morning drop-off, as an assistant teacher in the Dagim class andthe afternoon enrichment program . He is enthusiastic and very excited to be teaching the three’s! Gordon and his wife Trisha live in Jersey City with their daughters Harper and Avery. Malki Gruzman Mori was born and raised in Antwerp, Belgium. She moved to New York to attend college and fell in love with NYC. She continued to earn a Master's degree in Social Work from Hunter College and a Master's degree in Early Childhood Education from Bank Street College. Since then, she has taught and assisted in several schools with kids ages 2,5 - 5. She has also developed and lead a mommy and me class for kids ages 0-3 at the Educational Alliance while working there. Tami went to school at Caldwell College and received a degree in Preschool through 3rd grade Special and Regular Education and also Psychology. She started working at Kaplan in 2012 and loves being part of our preschool community. She lives in Morristown with her husband and bulldog Stella. She likes cooking, baking and spending time with her friends and family. Megan graduated from Rutgers University in 2009 and quickly began her career in early childhood. In December 2013, she earned her Masters in History and Culture and shortly after began working here at Kaplan. Megan loves spending time with her family and friends and enjoying life in Hoboken. Shana grew up in Jersey City but for the last twenty years calls Hoboken her home. Shana has her bachelor’s degree from The American University in Visual Media and Theater Arts. She has been working at The United Synagogue of Hoboken since 2004, first as a teacher in The Learning Center and now as a specials teacher in the preschool. She brings Jewish curriculum into the classrooms around holiday time and runs the Friday morning Tot Shabbat class for toddlers. She came to USH after working as a television producer and being a stay-at-home mom after her first daughter was born. She has three children, Alexandra, Elizabeth and Jared. They all graduated from Kaplan and currently attend the Elysian Charter School. In her free time, Shana likes to go to the gym, read and play Words with Friends. Penny Metsch, MLS, formerly a school librarian on Long Island and New York City, now focuses on early literacy programs in Hoboken. Emily was born in NYC, but grew up in Scottsdale, Arizona. She moved back to New York when she was 18 to attend Binghamton University. After graduating in 2007, she taught in the city for 6 years before coming to Kaplan in April 2013. Emily is currently on maternity leave. Ana was born and raised in Madrid, Spain. She earned her degree in Early Childhood Education from UCM in Madrid, with an emphasis in Special Needs children. After graduating from college she moved to Chile where she worked for three years teaching 5th and 6th grade at Lincoln International Academy. Back in Madrid, she taught 3rd to 6th grade English and Science for a few years until she moved to the US when she married. Ana has worked at Kaplan since 2008. She lives in Jersey City with her husband and two young sons, who are both Kaplan alumni. Ali has been a member of USH since she was two years old and began her work with Kaplan as a summer camp counselor. After graduating from Pace University in 2013, she worked in television news before making her way back to Kaplan. In her spare time Ali enjoys cooking, traveling, and spending time with friends and family. Maria was born and raised in Lima, Peru. She holds a Bachelors degree in Fine Arts with a mayor in Painting and Illustration from the Pontifical University of Peru. She moved to NYC in 2007 and became a resident artist in Brooklyn Studios for 5 years. In 2012 she received the Helena Rubinstein Scholarship and studied an Early Childhood Development Associate in CUNY’s School of Professional Studies in Manhattan. She has worked in a Reggio inspired Preschool in the Upper West side Manhattan for 3 years and joined Kaplan last September 2016. She has a CDA National Accreditation and is currently enrolled in the Master of Fine Arts-Art Education Program in New Jersey City University. She lives in Weehawken with her musician husband and enjoys painting, ceramics, going to the beach and visiting NYC galleries and museums. Samantha graduated from Bloomsburg university in 2009 with a Bachelor's degree in audiology and speech pathology. After 6 years of working at a school for children with Autism, she made the switch to Kaplan in 2014. Samantha is very passionate about health and fitness. Ruthy Tyroler grew up in Randolph NJ and moved to Hoboken after graduating from Lafayette College with a BS in Chemical Engineering (over thirty years ago!). Ruthy is a USH member and has a son, Jesse, who is a Kaplan Preschool alumni and was Bar Mitzvahed at USH Learning Center in 2014. Ruthy also teaches 4th grade at the Learning Center. Before joining the Kaplan family as a teacher, Ruthy worked for over thirty years in Outsourcing and Product Development. Her love of children and studies in child development led her to found Romparoo, classes for babies and toddlers in 2002. Ruthy is very active in the Hoboken community. served on the Hoboken Public Schools Board of Education for 6 1/2 years, 2 years as President. On the weekends, Ruthy loves to cook and build things. Recently she built an island for her kitchen. All photographs by Kenneth Chen unless otherwise noted.